As a keen observer of the markets, I have been quite concerned about the prevailing valuations for quite some time. For the last 2-3 years, I have talked about how the market indexes were being carried forward by a small selection of momentum stocks while the rest of the market was in a funk. Many investors have come to love the FANG/FAANG stocks and their other equivalents, but the party has to end somewhere. I have gone as far as to say that some of the blame lies squarely on the fact that the index funds are creating market distortions today and if left unchecked, the index fund bubble will burst soon. It appears to me that we are at the early stages of this point today. 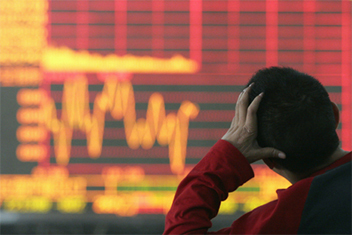 How Do You Deal with a Market Correction? Let’s break it down into two stages. We are very likely at this stage now. If you are a member of Value Stock Guide Premium, you have a little over 50% of your investment portfolios (allocated to following VSG) in cash now. The rest is in a few good quality stocks and assets, along with some market tracking ETFs chosen for their various characteristics (“factors”). We can relax knowing we have the ammunition to fire when the correction is in full swing. Perhaps you are not a VSG member, but you did adjust your portfolio to be cash heavy coming into this year. If you are confident with the stocks you are invested in and they represent a good value today, you can also relax. Even if the market corrects significantly in the next few months, nothing much needs to be done for now. But what if you are totally invested in high growth/momentum stocks? I expect that for most of these stocks, the valuations will get compressed, and rightly so. They may not come back to the current levels for a long time. When the market exits the correction phase, the competitive landscape may be completely different for these businesses. For example, if you are in Facebook today and want to hold on to the stock through the correction, hoping that when the market returns to its upward trajectory, Facebook stock will come roaring back, it is quite possible that this may never happen. It did not take much time for MySpace to become a footnote in the internet history. I am not suggesting that this will happen with Facebook. I am merely stating that some of investors’ attitudes and expectations will not be fulfilled. Whether it is Facebook or some other favorite stock you have in your portfolio that was bought because “everyone knows it is a great stock”. With that being said, I would recommend to lighten up your tech exposure (FANG and similar), but do it judiciously. Nothing is to be gained by rushing in to sell in a panic. Also “great companies” that are still running on dreams and possibilities, that are not consistently profitable, for example Tesla, need to be mercilessly eliminated from your portfolio. Perhaps you do not think that the situation is as dire as I indicate. If you would rather adopt a wait and see approach, I recommend atleast test this and a few alternative ideas in a stock simulation game and see how things turn out over the next year. This is a great place to be in, if you have cash. Your “kid in a candy shop” moment. This is the time to scoop up the bargains and wait for the rest of the market to adjust and drive your values higher. If you don’t have cash and you have to forcibly sell your assets to raise cash, meet the margin calls, etc, as the market continues to bottom out, you are in a big trouble. You will end up selling low, while previously having bought high. Unfortunately, most investors will find themselves in this group. Are you invested in derivatives such as options or share warrants? Or perhaps you are highly leveraged with margin or 2x or 3x index etfs (regular or inverse)? In any case, consider this a good time to review your risk exposure and mitigate it. As value investors, we have been a bit early on preparing for this eventuality. We started to focus on building up cash in the last 2 years and it was painful to watch the market continue to run on fumes. Now, we are waiting in anticipation of great values to come. All the best everyone. Be safe out there. Want to be a Successful Value Investor? Learn what actually works in the market. 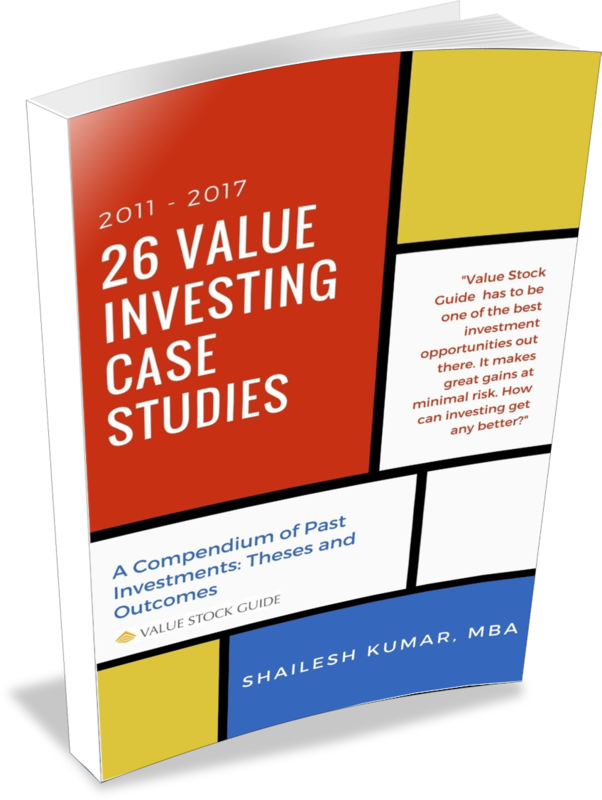 Get the 26 real world investments that made millions for Value Stock Guide Premium members.